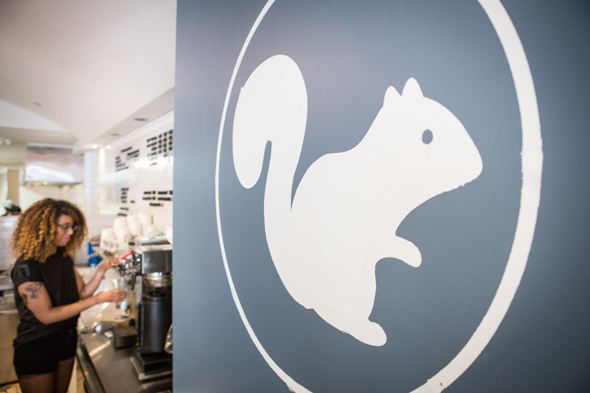 White Squirrel in Rosedale marks the West Queen West cafe's first foray into a new part of town. 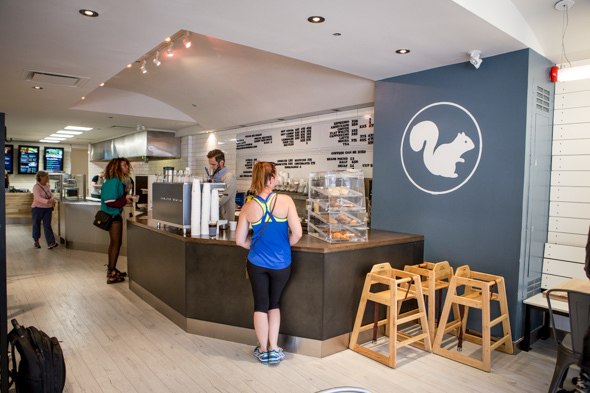 Given their quintessential status as Trinity-Bellwoods' favourite cafe, you might have expected them to pick another scrappy, artsy neighbourhood - say, Leslieville or Dundas West - for the next member of the White Squirrel family, instead of a location facing some tony design stores on Yonge. You might not have also expected them to team up with Freshii to host that new location inside the healthy lunch takeout chain's newest, swankiest franchise. 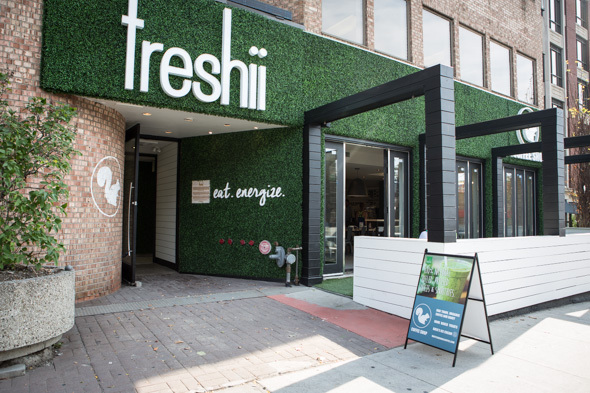 But that's exactly what happened; according to owner David Ginsberg, one of Freshii's in-house nutritionists is a regular at the Queen St. location, and asked White Squirrel to team up with them for the new location. As it turns out, that location is also positioned in front of the new Freshii head offices. 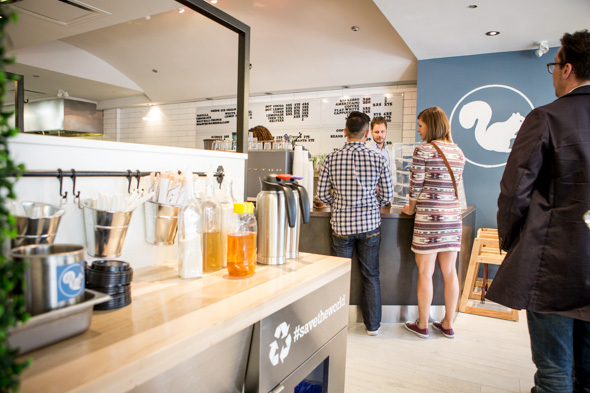 Perhaps team Freshii didn't have entirely altruistic motives for bringing the brew up to Rosedale? "I think that's a lot of it," Ginsberg laughs. "We do do a steady Freshii corporate staff business." Aside from the Freshii branding, the lunch counter at the back and the rows of gleaming, patio-style furniture kitting out the space, it's still the same old White Squirrel - same Mountain View Estates espresso, same freezer of Greg's Ice Cream, same blue Elektra espresso machine, even the same menu sign with the removeable letters. Is anything different? "We're serving croissants here," Ginsberg says. 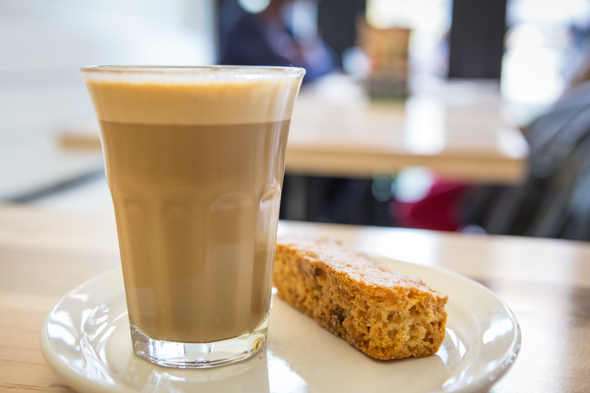 "We never bothered over there, because we're flanked by croissants (at Clafouti ). We're not doing sandwiches here, because we're flanked by sandwiches here. We want to be complementary to our environment." 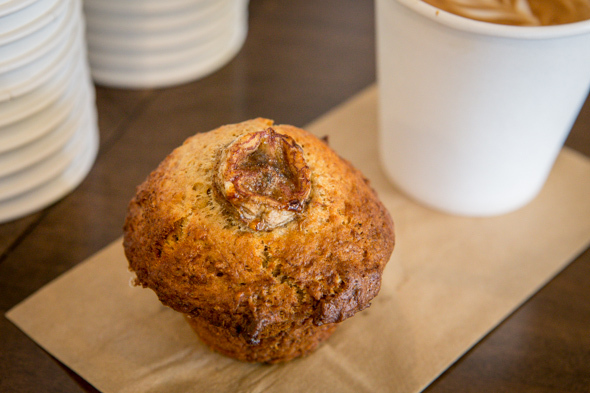 That's on top of the same roster of housemade baked goods, including muffins, brownies, cookies, and their signature breakfast empanadas, all of which are either made on Queen and brought up to the Rosedale store or partially assembled at the original store and baked in-house. 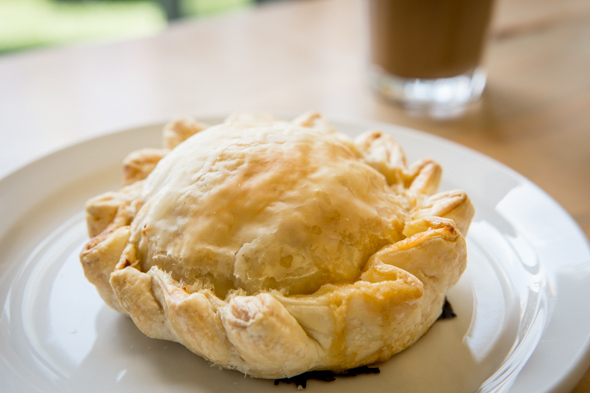 I give the breakfast empanada, ($4) an in-house creation, a first-ever taste test; it's a tasty, baseball-sized lump of eggs, sausage meat and a little cheese wrapped in chewy baked dough. If you're looking for a surefire way to go from "growling stomach" to "mega full" in three and a half minutes, this'll be good for what ails you. 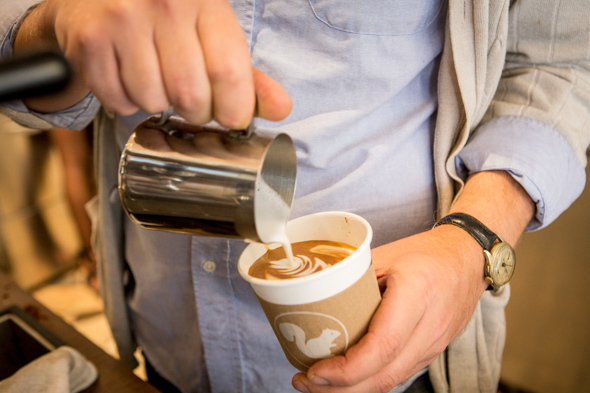 Right now, Ginsberg's goal is to start swaying Rosedale residents away from their default coffee options. 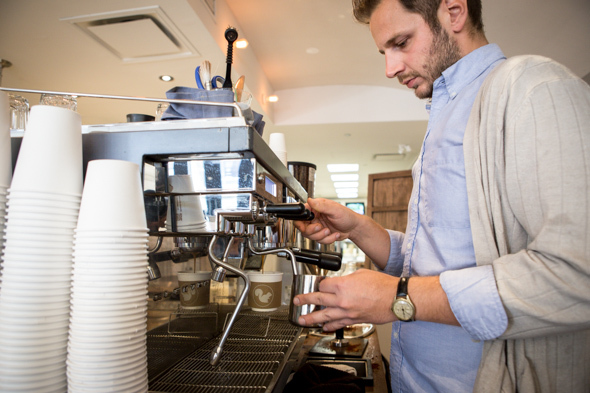 "We kind of like our proximity across the street from a Starbucks, cause I think a lot of people go to Starbucks because it's there, rather than go elsewhere. So I think that's a good space for us."